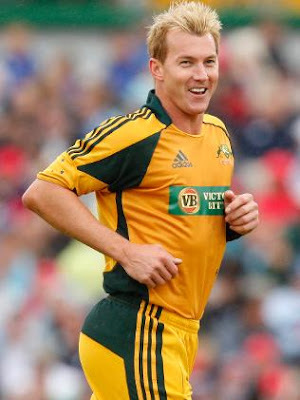 Sydney, Jan 19 (ANI): Fast bowler Brett Lee, who will lead the Australian pace attack in the World Cup, has added extra variation to his artillery, including a slower-ball bouncer. While still capable of reaching speeds in excess of 150km/h, Lee has added extra variation to his artillery, including a slower-ball bouncer that NSW coach Matthew Mott described as one of the best in world cricket. "You could say I'm evolving as a bowler. The batsmen these days are trying different shots and new shots which could be the lap sweep, the ramp shot, the reverse slap, which you see Steve Smith play for Australia," Lee said yesterday. "The batsmen are trying different things and to counter those shots it's important the bowler works on the things in the nets and tries things as well and that's happened for me," The Sydney Morning Herald quoted him, as saying. "With the slower wickets it's still important you bowl fast over there but you need the extra bit of things in your repertoire. It's slower bouncers, wide lines, and these types of different balls," Lee said. The 34-year-old, who missed Australia's triumph in the Caribbean four years ago due to injury, was ecstatic to make the touring party after coming back from elbow surgery last year. "All the pieces are fitting in the jigsaw puzzle, it's all going according to plan. I was hoping to be available and to be chosen and that's happened. As I said, this is a massive moment in my career and one that I'm very proud of," said Lee.